One entry per household per giveaway. Unless stated otherwise. Your details will not be used for marketing purposes. Winners’ names will be published on this website. These prizes are open to anyone with a soldier on their life – please read our full terms and conditions here. Entries close on 10 January. 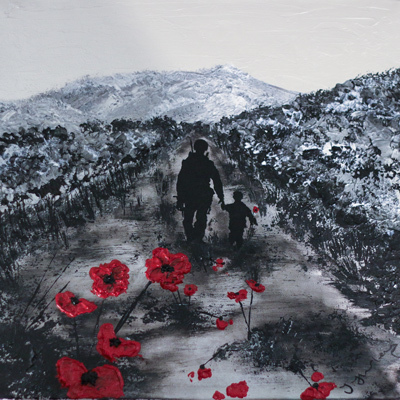 Jacqueline Hurley painted her first work as a tribute to her friend, a Royal Marine tragically killed in Afghanistan. In our winter edition, her art features on our cover and she tells us more about her War Poppy Collection on page 15. The collection is helping to fundraise for many Forces charities with 10 per cent of print sales going to The Royal British Legion and The Royal Marines Association charity, Adam’s Hoofing Hut. You could win a signed print of My Knight In Body Armour. We’re offering you the chance to win a four-night stay at Douneside House, a country retreat in rural Aberdeenshire, Scotland. 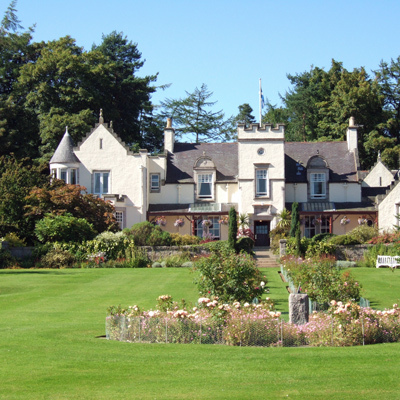 Douneside House is an exclusive hotel which also offers self-catering cottages and apartments, all set in splendid landscaped gardens. Currently undergoing an extensive refurbishment programme, it re-opens in spring 2016. Enter for your chance to win a four-night stay for up to four people in a luxury self-catering cottage (off peak season, subject to availability). 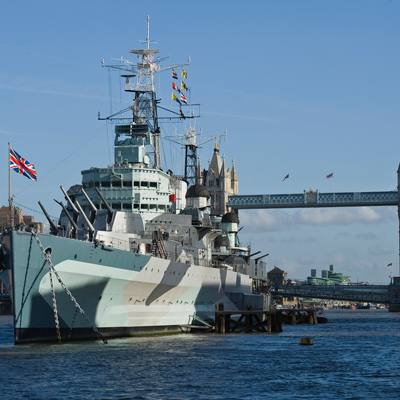 Once home to a crew of up to 950 men, HMS Belfast London, part of Imperial War Museums, tells the stories of those who lived and worked on board this warship during the Second World War and beyond. Imagine sleeping in one of the tightly packed hammocks during convoy duties, or being stationed deep in the bowels of the ship when she opened fire in support of Allied troops on D-Day. Explore nine decks of seafaring history. Immerse yourself in the midst of a battle in the gun turret experience, take control of a fleet in the interactive operations room and hear veterans’ stories in the Life at Sea exhibition. Army&You has a family ticket (two adults & two children), worth £42, to give away. Looking for a unique gift for that special someone or a personalised keepsake? Crafty so n sew, created by Army spouse Mandy Nunn, could have the perfect solution. 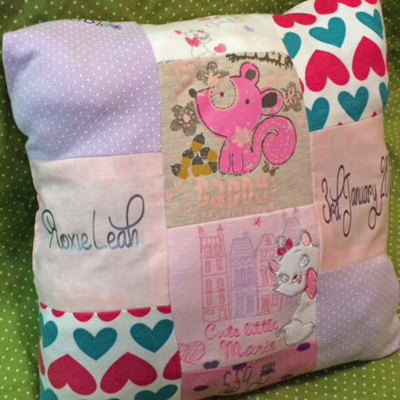 Mandy creates items including memory animals, patchwork blankets and pillows made out of loved ones’ clothes as well as children’s reward charts, glass light blocks and much more. Everything is designed and created in-house, so if you don’t see something you like, Mandy will work with you to design a bespoke piece. 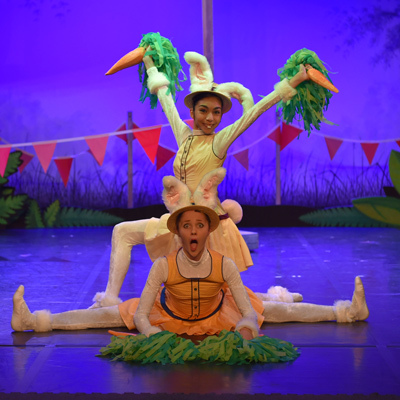 Northern Ballet brings its magic to Tortoise & the Hare, touring the UK through to May 2016. Its production of the much-loved Aesop’s fable is the perfect opportunity for your little ones to enjoy live ballet, music and theatre. We have four tickets for a performance of your choice, subject to availability. Two Army wives have found the solution to their quest for classic children’s clothing. Sally Douglas and Lucy Bryant created Bonnie UK to produce pure British knitwear – soft lambswool that is machine washable and easy-to-wear. 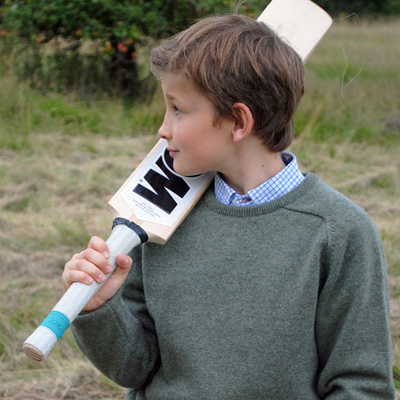 Bonnie’s range for 7-14-year-olds includes polo and box jerseys, crew necks, hoodies and cardigans, all manufactured in Scotland using Yorkshire wool. Two readers can win an item of their choice from this season’s range. Sharon Stirrat, owner of Bling & Beautiful Boutique, believes that good-looking, high quality jewellery and accessories should be available for everyone at competitive prices. She aims to bring new designs each season and only stocks a limited amount of each piece to ensure exclusivity for her customers. The business has also joined forces with charity Scotty’s Little Soldiers and is raising funds through online sales. 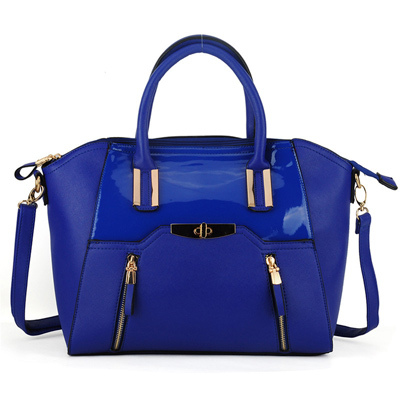 Enter our giveaway for a chance to win a handbag, scarf and purse of your choice. And they’re off! Army families can enjoy a day at the races when playing this devious family board game from Rascals. 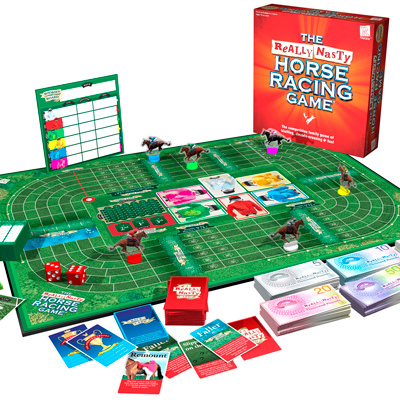 Just as in a real race meeting, players race their horses around the board to win at all costs. Have fun double crossing and bluffing your opponents – bet your own horse or someone else’s but don’t tell anyone who you’ve bet on. The object of the Really Nasty Horse Racing Game is to win the most money at the race meeting by getting your horse placed first, second or third or by placing bets on winning horses. There is also a set of mischief cards to help you create havoc with the other horses and riders. For two-to-six players or teams and ages 12 to adult. We have three board games, worth £19.99 each, to give away.